Combining the in-depth coverage of a text with the practicality of a clinical manual and the visual detail of an atlas,Avian Medicine ,3rd Edition is the complete, all-in-one guide to every aspect of avian care. 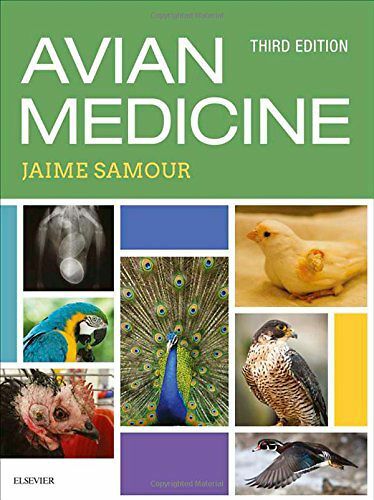 Written by some of the world's leading authorities in avian medicine, this highly illustrated reference covers a wide variety of avian species - including psittacines, raptors, bustards, parrots, finches, and more. Comprehensive coverage includes issues ranging from the basic aspects of patient management to the most sophisticated diagnostic techniques. Plus, with more illustrations, a wealth of practical advice, and the latest information on cutting-edge treatments and procedures incorporated into this new edition, today's general clinician will be fully equipped to effectively and confidently care for all birds.